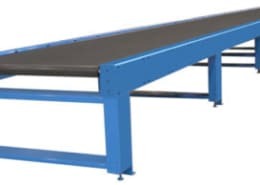 What is a belt conveyor? 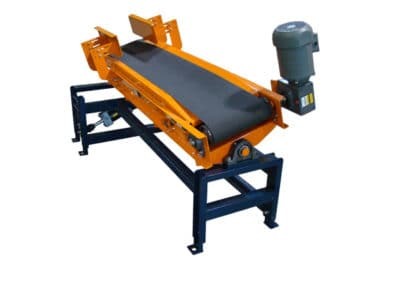 Belt Conveyor systems are the most versatile and simplest material handling systems. Two or more pulleys drive an endless loop belt, smoothly and quickly moving a product from Point A to Point B. Belts are fabric or rubber, and they are commonly used in both manufacturing and distribution facilities. 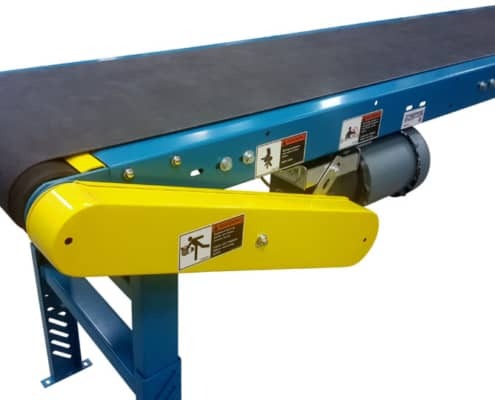 Ultimation designs and builds electric belt conveyor systems from 5′ long to 102′ long and in widths from 6″ wide belts up to 72″ wide. 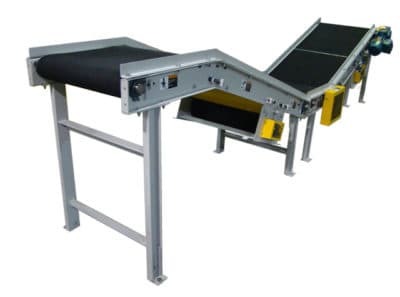 Powered belt conveyor units are great for transporting regular and irregular shaped objects both light and heavy. Typical items transported on the belt conveyor include totes, packaged goods, bulk boxes and bundled items. 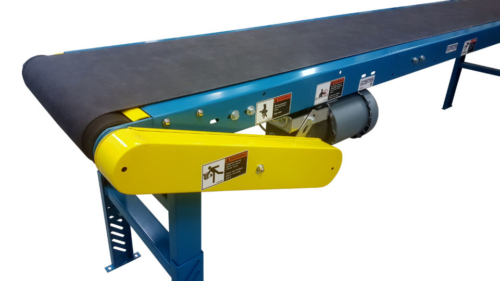 Due to simplicity in design and construction, the motorized belt conveyor installs quickly for a reduced installation time. As a leading electric conveyor belt manufacturer, Ultimation can guide you through the selection process. 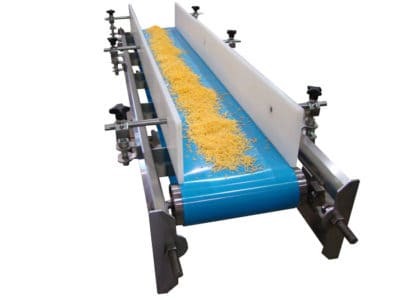 To use the conveyor as a working surface. Belt conveyors are made for transport, not for production operations on them. Use a slat conveyor or roller conveyor. Depending upon the product weight and the product being conveyed, we have many different types of belt conveyors available for handling the loads. Product weights typically ranges from 5 lbs. up to 1,280 lbs. Are they called “conveyor belts” or “belt conveyors”? 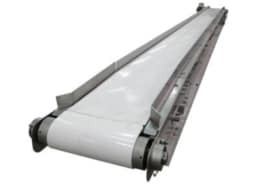 Technically the entire assembly as shown here is known as a belt conveyor, or a belt conveyor system. 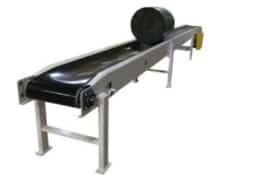 The belting material is made of fabric, rubber or flexible plastic and it is the belting material itself that is the “conveyor belt”. Ready to buy standard models? Click here to go to our online store. Same day shipping available on some models. Call us on 586-771-1881. We know all the types of belt conveyor systems and our staff will help you with the necessary calculations for load, speed and everything else you need.